Royal College Of Obstetricians & Gynaecologists have released guideline for Antenatal Corticosteroids to Prevent Neonatal Morbidity and Mortality whose aim is to provide up-to-date information on the appropriate use of antenatal corticosteroid therapy in women whose babies are at risk of complications owing to either preterm birth or elective caesarean section at term. The guideline has been developed in accordance with standard methodology for producing RCOG Greentop Guidelines. There is evidence to suggest that antenatal corticosteroids are effective not only in reducing respiratory distress syndrome (RDS) but also in reducing other complications of prematurity such as intraventricular haemorrhage (IVH) and are safe for the mother. 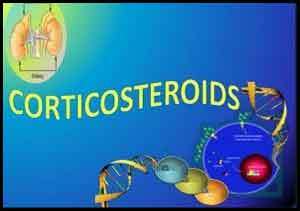 Antenatal corticosteroids have no known benefits for the mother. Clinicians should offer a single course of antenatal corticosteroids to women between 24+0 and 34+6 weeks of gestation who are at risk of preterm birth. Antenatal corticosteroids can be considered for women between 23+0 and 23+6 weeks of gestation who are at risk of preterm birth. The decision to administer corticosteroids at gestations less than 24+0 weeks should be made at a senior level taking all clinical aspects into consideration. Antenatal corticosteroids are most effective in reducing RDS in pregnancies that deliver 24 hours after and up to 7 days after administration of the second dose of antenatal corticosteroids. Antenatal corticosteroid use reduces neonatal death within the first 24 hours and therefore should still be given even if delivery is expected within this time. A. Women may be advised that the use of a single course of antenatal corticosteroids does not appear to be associated with any significant short-term maternal or fetal adverse effects. Evidence on the longer-term benefits and risks of a single course of antenatal corticosteroids shows no clear difference in adverse neurological or cognitive effects. There is still insufficient evidence on the longer-term benefits and risks of multiple courses of antenatal corticosteroids. Caution should be exercised when giving corticosteroid therapy to women with systemic infection including tuberculosis or sepsis. Senior opinion should be sought when contemplating delaying delivery for steroid prophylaxis in cases of overt chorioamnionitis. Antenatal corticosteroids should be given to all women at risk of iatrogenic or spontaneous preterm birth up to 34+6weeks of gestation. Antenatal corticosteroids should be given to all women for whom an elective caesarean section is planned prior to 38+6 weeks of gestation. Clinicians should continue to offer a single course of antenatal corticosteroid treatment to women with multiple pregnancy at risk of imminent iatrogenic or spontaneous preterm delivery between 24+0 and 34+6 weeks of gestation. Diabetes mellitus is not a contraindication to antenatal corticosteroid treatment for fetal lung maturation. Women with impaired glucose tolerance or diabetes who are receiving fetal steroids should have additional insulin according to an agreed protocol and be closely monitored. Elective lower segment caesarean section should normally be performed at or after 39+0 weeks of gestation to reduce respiratory morbidity. Corticosteroids should be given to reduce the risk of respiratory morbidity in all babies delivered by elective caesarean section prior to 38+6 weeks of gestation. Pregnancies affected by fetal growth restriction between 24+0 and 35+6 weeks of gestation at risk of delivery should receive a single course of antenatal corticosteroids. Betamethasone 12 mg given intramuscularly in two doses or dexamethasone 6 mg given intramuscularly in four doses are the steroids of choice to enhance lung maturation. A single rescue course may be considered with caution in pregnancies where the initial course was given at less than 26+0 weeks of gestation. Senior opinion should be sought if a rescue course is to be considered. A rescue course of two doses of 12 mg betamethasone or four doses of 6 mg dexamethasone should only be considered with caution in those pregnancies where the first course was given at less than 26+0 weeks of gestation and another obstetric indication arises later in pregnancy. This is the fourth edition of this guideline, which was previously published in April 1996, December 1999 and February 2004. The previous guideline was entitled Antenatal Corticosteroids to Prevent Respiratory Distress Syndrome.The Guideline is NICE accredited.